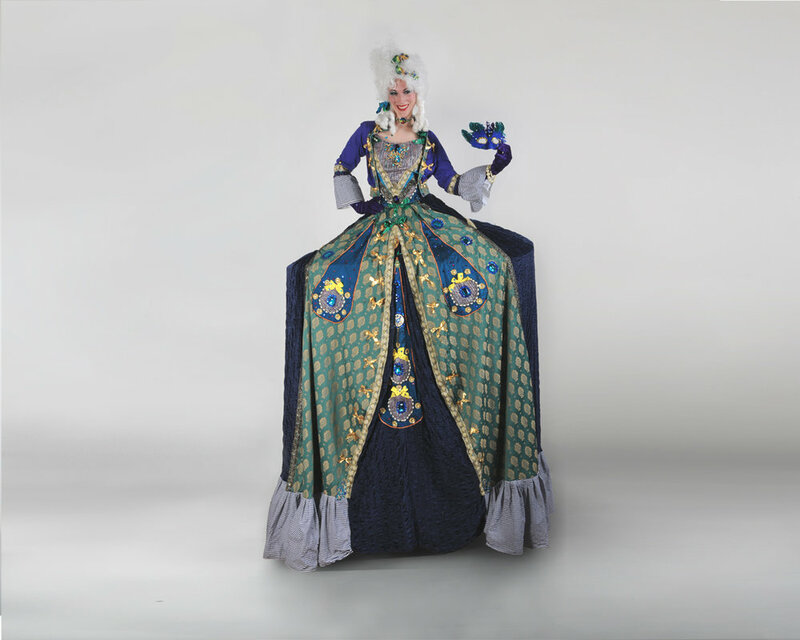 The Grand Dame of the Powdered quartet, Peacock wears exquisite green and plum with pearl, crystal and lace detail. Always the hostess with the most(ess), game for a little stilt ballet if you are. Like her sisters, Peacock can be transformed into a ground based character for dance performance or interactive mix and mingle in more intimate settings.